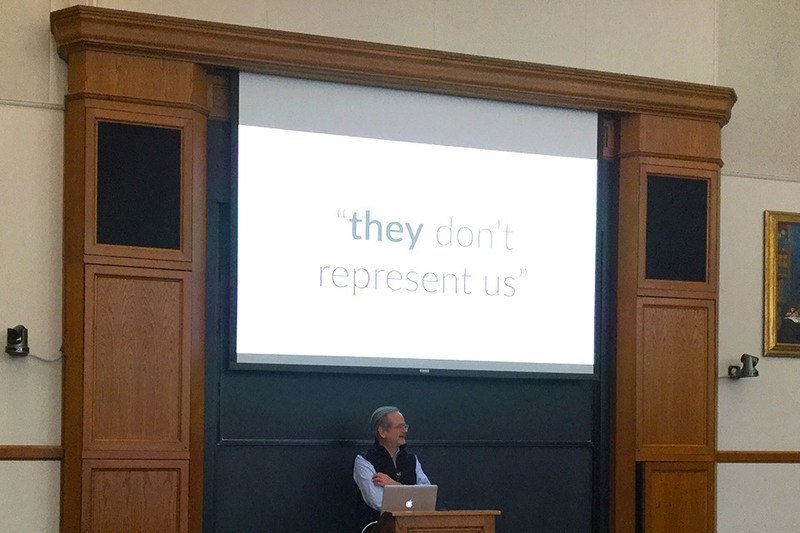 At the Seminar in Private Law on March 19, 2019, Lawrence Lessig ’89, the Roy L. Furman Professor of Law and Leadership at Harvard Law School, discussed a chapter from his forthcoming book They Don’t Represent Us, titled “The Unrepresentative Us”. Lessig argued that we live in the post-broadcasting era, where news creators and distributors have market incentives to serve us polarizing and divisive content. The reason for this is the advertisement-based business model of news delivery. This media structure contributes to increased partisanship not only of political opinions, but also of what we treat as “facts.” According to Lessig, the lack of shared understanding of what the world is like threatens the very foundation of a democratic polity. Analyzing the history of media and news consumption patterns throughout the last 100 years, Lessig indicated that two technological developments, namely broadcasting of news and widespread use public opinion polls, occurred roughly at the same time. We learned to measure what people think, according to Lessig, just when the people started to have something to say about politics. Citing a study by Gregory Martin and Ali Yurukoglu, Lessig stated that in 1977, 90% of Americans got their news from three TV channels. So many Americans watched news, according to Lessig, not necessarily because they were interested in political affairs, but because they wanted to watch television, and news was all that was featured in some times of the day. Now, in the post-broadcasting era, we still measure what people think about the politics, but they no longer get the same facts, and many of them choose not to watch news in the first place. People get their news from social media, or increasingly more partisan television and online sources. The problem, Lessig claimed, is not the variety of news sources. The problem is that ad-based revenue models create incentives to show us polarizing and divisive messages. Just like fast-food producers learned how to mix fat, salt, and sugar to make their products more addictive, news producers and distributors have learned to play on people’s emotions to make them consume more media and more ads. This is destructive for the democratic process, Lessig said. 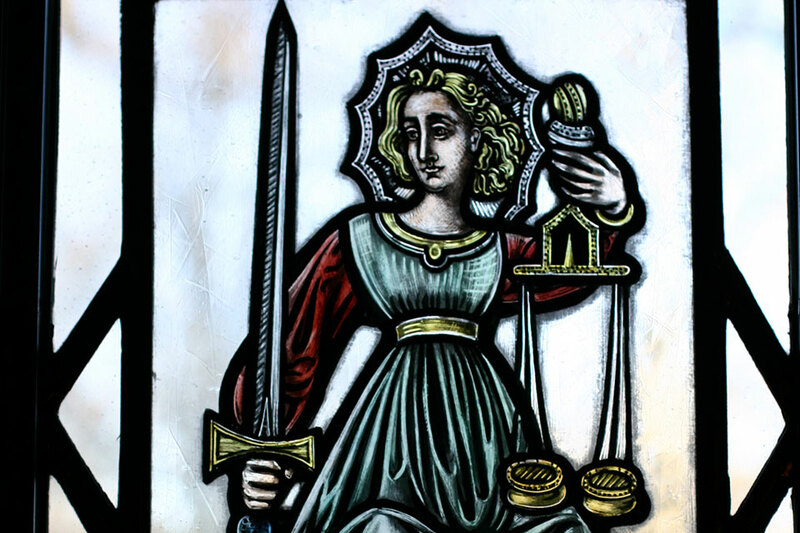 Each spring, the Seminar in Private Law brings speakers from academia and practice to Yale Law School to present papers addressing a common theme. The 2019 Seminar is devoted to asking how technological change restructures the fundamental concepts and categories of private law. The Seminar is organized by Daniel Markovits, Guido Calabresi Professor of Private Law, and the Yale Law School Center for Private Law, which promotes teaching and research in contracts, property, and torts at Yale Law School and in the broader legal community.